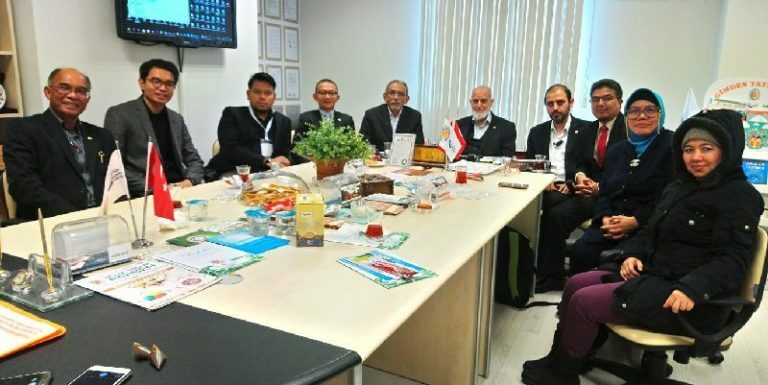 Mr. Amin Fahmi the Deputy Secretary General of Malaysian Islamic Chamber of Commerce (DPIM) and Nik Yusoff, Supreme Council Member (Global Halal), DPIM has been visited GIMDES with three companies representatives; Saudagar Kitchen Sdn. Bhd., Suci Harumatiques Sdn Bhd., and QI Consultants Sdn Bhd. As GIMDES, we share the same idea with our visitors as the Halal certification system intends to unite under a single roof under the control of Muslims in the world. GIMDES and Malaysian Islamic Chamber of Commerce agreed to sign a memorandum of understanding for increase the level of cooperation in Halal sector.